I woke up one morning last week with a huge mosquito bite!! It was so bad, it didn't even itch! It just hurt. A LOT! I decided to use my essential oils right away. Because of their outstanding antiseptic and oil-soluble properties, essential oils are ideal for treating most kinds of insect bites. Essential oils such as Lavender and Peppermint reduce insect bite induced itching and infection. First I dabbed on a little Lavender, which calmed down the throbbing feeling. Then after about an hour I put on Young Living's Purification blend. Then I made a little "Bite Blend" as I like to call it. It works wonders. The bite felt better within a few hours, and is now almost completely healed. You can either use neat, or dilute 50:50 with high quality vegetable oil, like V-6 oil, for children and sensitive skin types. Apply 1-2 drops of the blend 2-4 times daily. 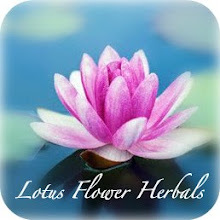 To purchase Therapeutic Grade Essential oils, click HERE.